Eurotrol provides high specification, custom-made quality control materials (QC) for the periodic verification of the precision and accuracy of in vitro diagnostic (IVD) analyzers. Our products are produced by an integrated ISO-approved process, from research and development through production, in which only the highest quality materials are used. 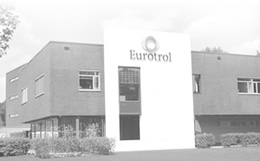 For more information about Eurotrol visit www.eurotrol.com.